We've vacationed in Palm Springs multiple times and I always find it interesting that although I bring a suitcase full of clothes and shoes, I end up only using approximately 10 items, on rotation, throughout my whole entire vacation. I'm not sure about you but I find as I start packing I add items that I feel I "just might" need, or that 3rd pair of heels "just in case" I get sick of the other 2 pairs during a one week period. This time around, I've decided to stick to strictly 10 items, minus accessories, swimwear and workout gear, this keeps things very simple and gives me more room to actually purchase some great pieces in a shopping destination like Palm Springs, without having to lug home another cheap suitcase that will be donated to goodwill as soon as I return home. As you can see, I chose each piece specifically because it could work dressed up or down, worn with loads of accessories or simply by itself. Here is a quick sample of how 4 of those 10 pieces (my favorites) could potentially be rotated. 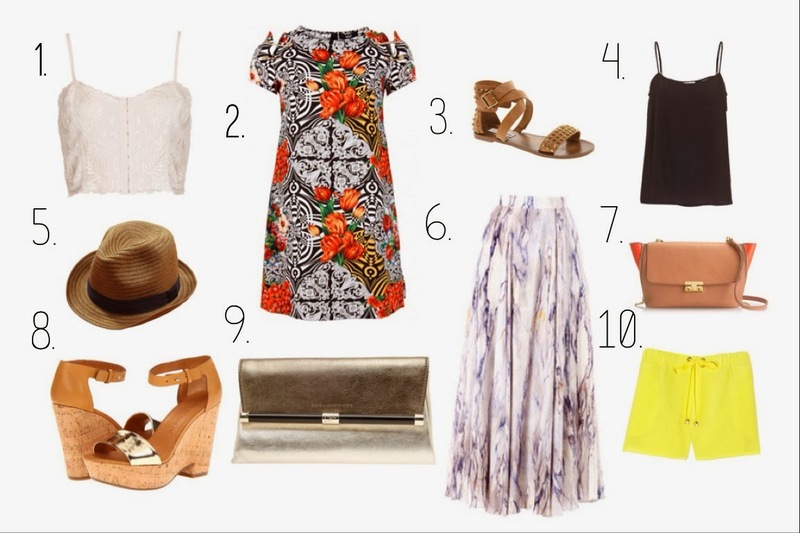 I was debating on my maxi dress or maxi skirt, the maxi skirt won over only because it is so versatile, it can be worn casually with a white tank top and gladiator sandals, whilst shopping; or can be dressed up with a fitted black tank top, great gold accessories and wedge heels. 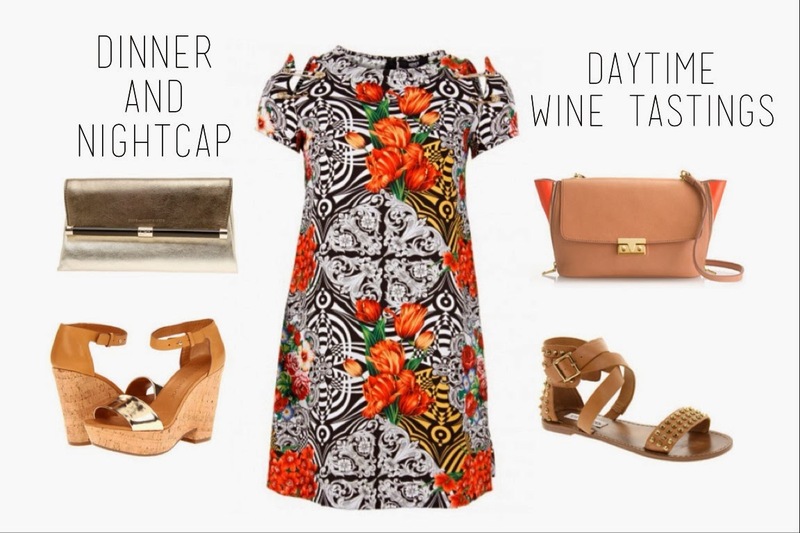 Surprisingly, despite the initial fancy feel of this item, the bright mod dress can work for day-time or evening. It really depends on what you decide to accessorize it with. 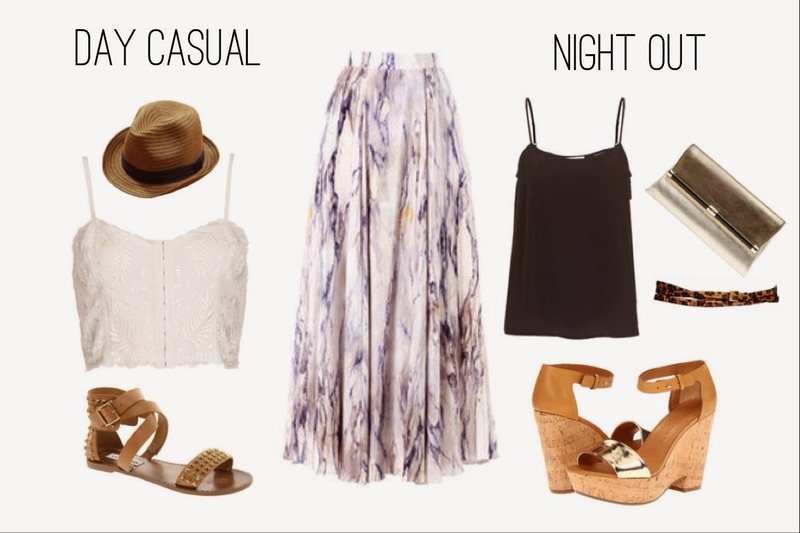 It can work with wedges for the evening or flats for the daytime. The perfect vacation dress. A white tank top is a no-brainer. In the desert heat, a crisp, white tank top in a natural fiber such as cotton or silk will be a life-saver. So many options when it comes to something so basic, while never tiring of the item. Bright shorts epitomize all things retro and 50's-inspired, which is what Palm Springs is all about. Bright shorts in a light fabric, such as silk, can be playful in the pool as it will dry very quickly, or it can be taken out for lunch with a great pair of neutral wedges. It feels wonderful to have a paired down yet fully functional suitcase that is prepared for any activity that comes up. Sometimes simple really is best. I would love to know how all of you pack for your sun vacations. Please share. Well, I'm officially off to the land of heat and relaxation, really could not come at a better time. Of course, I'll be posting daily to my Instagram feed so please don't hesitate to follow along! As always, thank you so much for visiting and Happy Friday!